Welcome to Collectors Decanters and Steins! Welcome to Collectors Decanters & Steins! 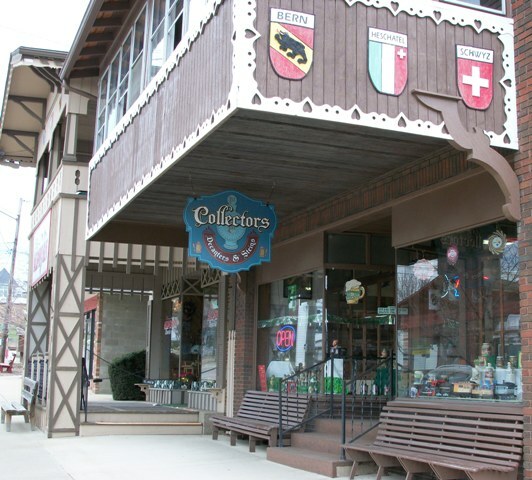 Located nestled in the heart of Sugarcreek, Ohio's Swiss Village, Collectors Decanters and Steins offers a wide selection of classic and collectible decanters and other unique items. We feature Ohio's largest decanter museum, with over 3000 unique works of art. We also carry Anheuser Busch Holiday Collections as well as many other Anheuser Busch series in our store. We have thousands of unique items featuring legendary icons. 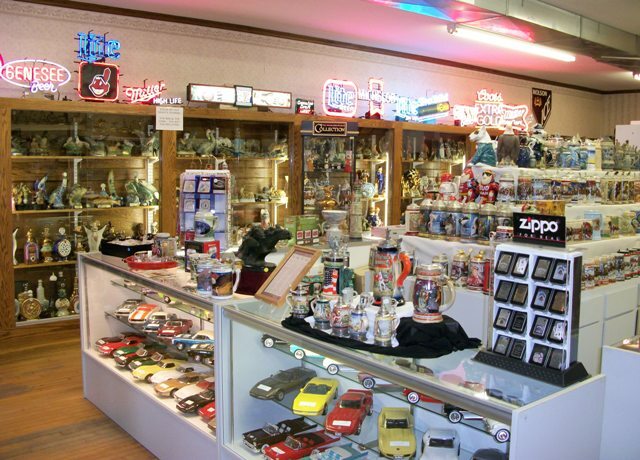 We have something for any avid collector, including tributes to such talents as Elvis Presley, Bob Hope, and Marilyn Monroe. Looking for a historical perspective of the craft? Take a tour through our decanter museum, which features thousands of unique offerings, including a restored (non-functional) bar, circa 1930's. The museum is free with any purchase, or just mention that you found us online! We look forward to seeing you soon! We are open Monday through Saturday from 10 am to 5 pm. We also feature Ski Country Decanters, a limited edition of unique collectible decanters! We are the official distributor of Ski Country Decanter, with many unique series available. Check out our Ski Country page to see more, or check out www.skicountrydecanters.com, our official Ski Country web site.